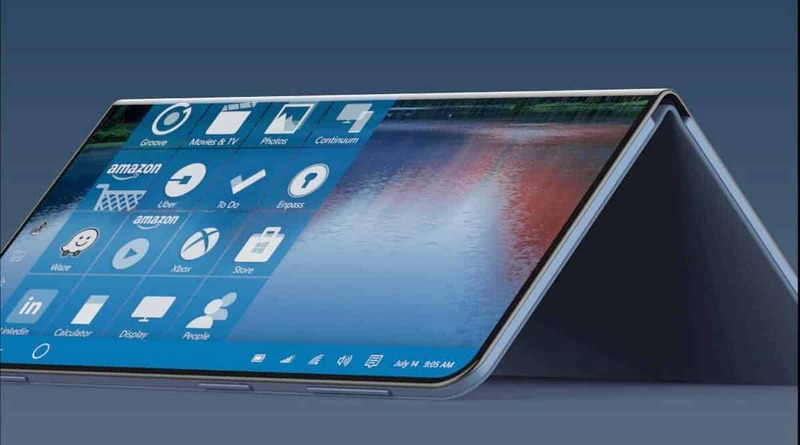 Microsoft is planning to re-enter the smartphone market with their all-new Surface phone. The phone will be running on Andromeda OS and these leaks have surfaced from the latest Windows 10 update. A lot of patents which describe a fold-able device running on Andromeda OS were spotted last year. The code reveals that the Andromeda OS is internally referred to as the ‘Factory OS Andromeda’. The actual device has also been mentioned inside the code. Some of the patents that have surfaced talked about the hinge mechanism so it appears that Microsoft has mastered that part of the device already, and it should have considering the unique hinge design of the Surface Book 2. It was earlier rumored that there would be magnets on both sides of the phone’s spins to enable it to fold. Apparently, the fold-able device will be able to fold into different positions ranging from laptop mode, folded mode, tent mode, and tablet mode. There should also be a note app that will let users take down notes on both ends of the display as if they were writing notes on physical paper. With all the above information, we can assume that a fold-able Phone or tablet with a hinge is about to hit the market. The device will run on Andromeda OS which seems to be the on the go version of Windows 10. Will this device be a hit or a failure like the Lumia series? Gotta wait and see! Stay tuned for more.